Looking for a New Sheet Music in Melbourne, VIC? 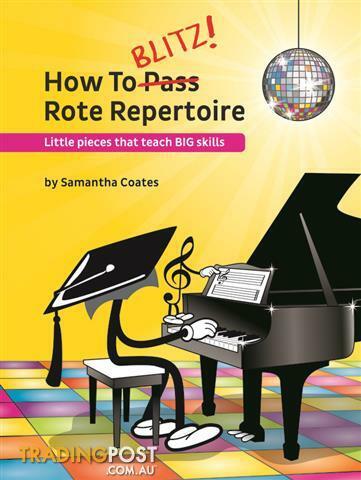 BlitzBooks Rote Repertoire combines the concepts ofroteandreading, as well as teaching the invaluable skills oflistening,analysing,memorisingandcomposing..
Prestige Pianos & Organs has been Australia's home of fine musical instruments since 1973. Prestige Pianos & Organs stocks a diverse range of leading brand instruments to suit all individual needs and preferences. Our staff focus on helping customers to buy the right instrument at the right price. Prestige Pianos & Organs is dedicated to providing the right service and advice to its customers. The motivating force behind the business is a love for music and the joy that it brings to people of all ages. Catch up on all the latest product updates and information articles. Come visit us today!